The term ‘power-dressing’ is often used to refer to 1980s women presenting a bold appearance in the workplace. Power-dressing suits came in strong colours with brash embellishments and big shoulders. However, there are a multitude of ways in which clothes convey power, both in history and in modern material culture. Armour has its place as powerful outwear, and there are also the obvious signifiers of power, such as crowns, capes and military insignia. But everyday ‘civilian’ clothes have powerful messages of their own. Sometimes this is through a literally enhanced presence: strong boots, built up shoulders, excess of fabric. Sometimes, instead of standing out, power is conferred by homogeneity – belonging to a group all wearing the same uniform. Perhaps this homogeneity comes from a suit, as with the ‘Mao’ suit on Communist China, or even the modern male’s everyday office suit. Historically, certain colours and fabrics have been jealously categorised as elite-only, and therefore power-enhancing: consider the colour purple, for example, or the Sumptuary Laws limiting silks to certain ranks. With access to dyes universal now, can colour convey power still? Trousers have very strong associations with power. The Romans disdained them as fit for barbarians (outsiders) only. 18th-century gentlemen at first scorned them in favour of breeches, then followed George ‘Beau’ Brummell’s example in wearing them. By the 19th century they were firmly established as a fundamental garment for men. To wear trousers meant having freedom-of-movement, as well as the symbolic power of patriarchy. No wonder women had to fight so hard to wear them, enduring ridicule in the 1860s with Turkish trousers, then wary admiration for cycling breeches in the 1890s, and finally a long, slow integration of trousers into everyday wear. 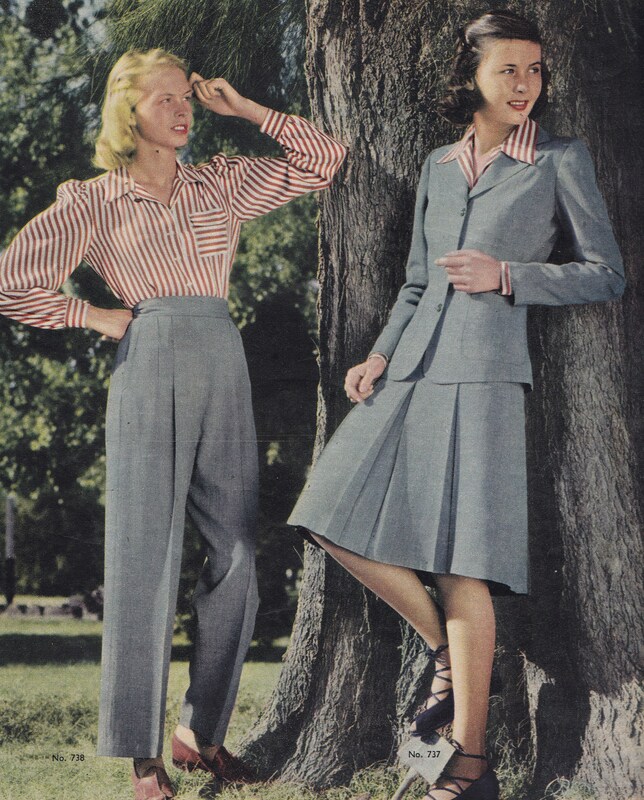 Trousers for female leisure wear were worn by a few from the 1920s onwards; only by the 21st century were they fully ‘normal’ in all professional situations (except No.1 dress in the military). We might ask – is there ‘power’ still in skirts and dresses? For transgender people, how might the power dynamic change when adopting clothes weighted with such assumptions about gender? How much of your body clothes cover is also significant. For example, are cultural requirements to hide the body, hair or face a form of gendered manipulation or a means of keeping power through modesty? In the West, the wearing of a niqab, burqa or hijab causes great debate. Or, when clothes such as corsets, cages and contoured pads are used to mould the natural form into a fashionable shape, who has the power – the fashion industry, the consumer, or the spectator? 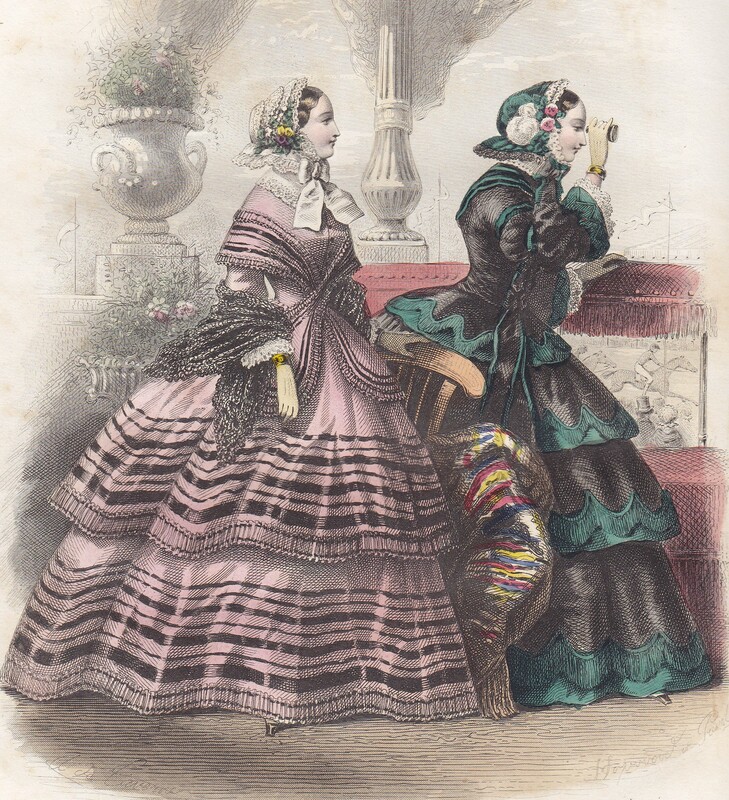 We may admire historical fashion plates and regret the passing of such superb elite clothes, but would we regret the loss of power restrictive layering causes? Then, when removing clothes, it’s worth questioning – does seductive lingerie empower or objectify the wearer? As for etiquette, for much of human history, hats have played a crucial role in asserting power, or, when doffing a hat, offering homage to someone of higher status… or as an act of so-called chivalry. We are now a relatively hatless society. Have we lost power with our hats, or are we able to show courtesy without recourse to gendered chivalry? Is it high-maintenance hairstyles that now display confidence, disposable incomes, and class? The host of the next #CSFashionHour, taking place on Friday 4th September 1-2pm, is Lucy Adlington (@historywardrobe). 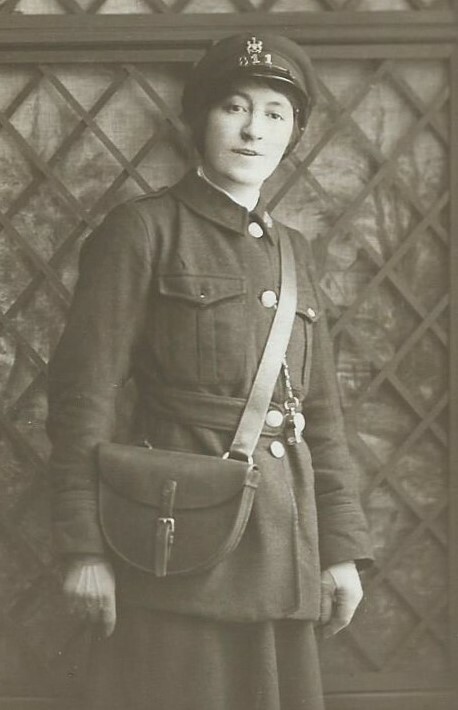 Author of Great War Fashion, Fashion: Women in World War One and the forthcoming book Stitches In Time, the Story of the Clothes We Wear (published on 8th October 2015), Lucy runs History Wardrobe – delightful costume-in-context presentations – and lectures extensively in the UK. For #CSFashionHour she is joined by Meridith Towne (@meridithtowne) historical dressmaker and History Wardrobe colleague. Lucy Adlington, Guest Blogger. All images are from the History Wardrobe collection. 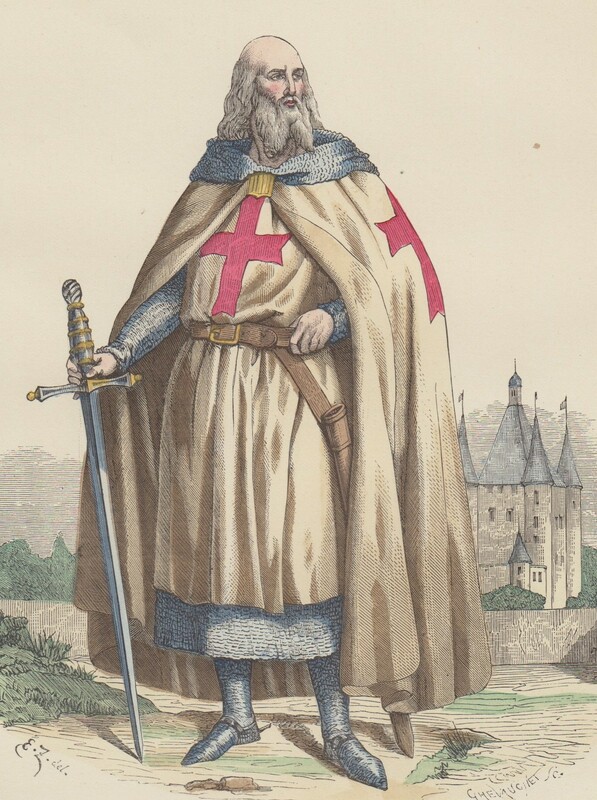 A 13th-c Knight Templar. Obvious power is demonstrated here through chainmail, cloak, the Christian cross & the sword.